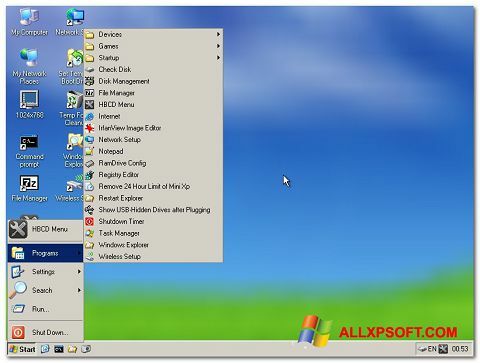 Hirens Boot CD for Windows XP - a software package that allows you to diagnose, restore and test the operating system. The application can work with various hard disk data, reset passwords, edit information from the BIOS, even if it is impossible to start the OS. This boot disk is an ISO image with a simple graphical shell, allowing you to perform all the basic manipulations to recover your PC or necessary files. You can free download Hirens Boot CD official latest version for Windows XP in English.